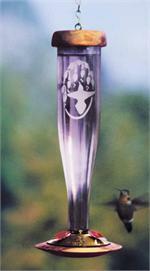 Artfully simple, amethyst colored glass with an etched design of hummingbirds and flowers. 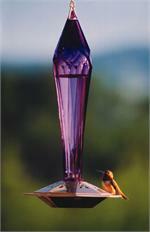 Brilliant amethyst feeder that the hummingbirds love! Sleek and contemporary feeders featuring shimmering amethyst colored glass.